When it comes to the success of your new kitchen project having a solid budget is important. Planning how much the overall project costs early on will see that you have a positive experience. The reasons for the new kitchen project might be based around a love of cooking; entertaining with the need for a functional kitchen, it maybe an overdue renovation, it maybe for resale of the family home or investment property; whatever the reason you are making an investment into one of your most valuable assets and you need to be comfortable with it. It is important to consider all costs associated with your project and always have a contingency in place for those little unexpected items that come up along the way. The main costs associated with a kitchen project are the kitchen itself, appliances & any trade works required. Our online estimator has been developed to give the renovator a tool to consolidate all of the costs associated with a kitchen project be that a new home or renovation, using the tool you can select the size of your kitchen, layout, door finishes, benchtops, appliances & hardware at a click you can also modify your selections until you are comfortable with your budget. 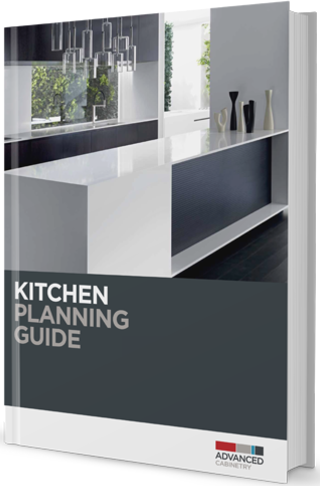 Following establishing a budget it is important to share this with your kitchen designer to ensure the design and finishes including the wants and needs are included within the nominated budget.